This is a guest post by Selin from Powerful Intent. Did you know that finances are one of the top reasons why couples fight? 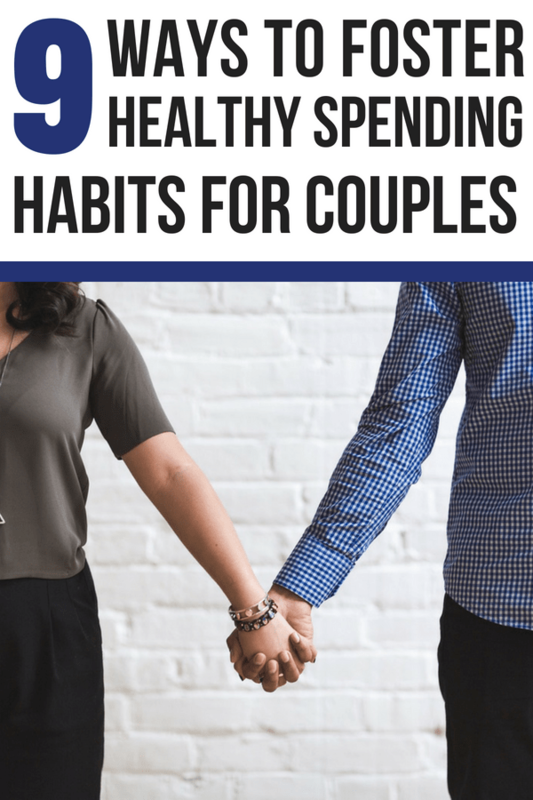 Complexities of relationships are magnified when we don’t agree with our partner’s spending habits. When one partner spends money more liberally, it causes frustration, resentment, and friction in the relationship. 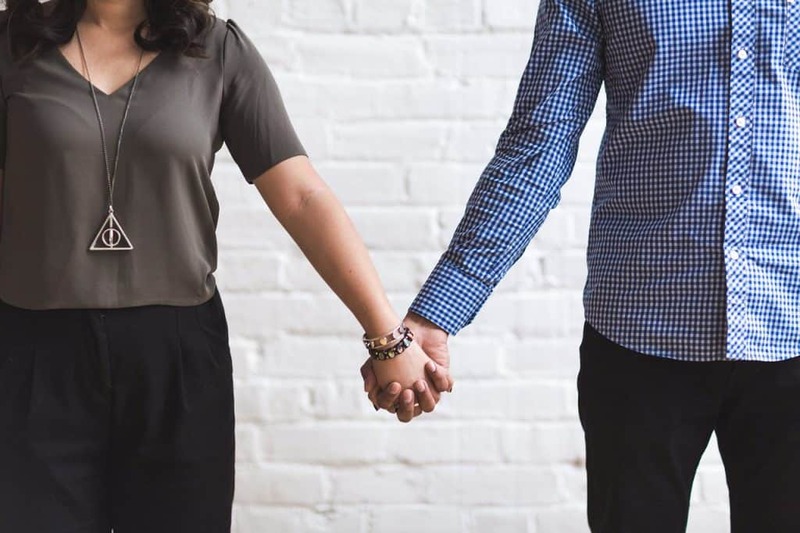 Finding ways to get in sync with our partner in money matters can bring about harmony in the relationship and nurture the bonds for a better connection. Here are ways to thrive in a relationship where spending styles are different. Just like using a GPS, if you don’t define your end destination, it is nearly impossible to get where you need to go. Is it saving for an exciting vacation away taking in the sights and sounds of a new country? Is it getting a dependable car without the frequent repairs that currently leave you frazzled? Maybe, your goal, for now, is simply to stay ahead of your payments and build an emergency fund, so you have a sense of relief in your lives? So, talk to your partner and define what is important for both of you. By establishing your goals together, not only are you strengthening your relationship, but you are creating the foundation for a cohesive financial vision. Yes, for most of us, creating a spending plan isn’t exciting. However, it is important to understand where you need to tighten your spending to save money toward your goals. Going through it for the first time can challenging, but once you have the foundation established, it should only be regular minor tweaks as your life changes. The easiest way to think about it is to list the money coming in so you know how much you have to spend versus all of your fixed and variable expenses in addition to the money you would like to set aside for savings. Now, someone reading this may ask, well isn’t this just making a budget? The word ‘budget’ has come to imply lack and sacrifice while ‘spending plan’ provokes thoughts of attaining your financial goals. So, to foster an enthusiastic outlook, I would recommend using the latter terminology for this practice. For the first little while, you should look at your finances together monthly. If you are easily hitting all your targets, you may wish to change to every other month or quarterly. If, however, you find that you are struggling to meet your spending plan, use this opportunity to brainstorm ways to cut your expenses. First, you should target cutting back in areas that don’t impact your lifestyle: finding a more competitive insurance provider, cell phone company, or internet provider, or even renegotiating a better mortgage rate. All these would all save money without straining you. If this alone isn’t enough, get more creative to either decrease your spend or increase the money you have coming in or both. What constitutes a major item? $100? $200? Is it a one item spend, or a shopping spree of “great deals” that one of you couldn’t resist? At what point do you need to forego decision making alone and consult your partner? If you think $50 is a major purchase and your partner would be happy to set the boundary at a much higher value, there is a clear disconnect that can trigger conflict in your relationship. Accordingly, set clear expectations in your relationship regarding spend for significant items. A goal you write down only once and don’t look at again for an entire month doesn’t do much to entice you. So, go ahead and create a chart showing your goal amount versus your savings and put it in a place where both of you will be reminded of it regularly. Another approach is to use a binder tracking daily spend or savings for each person. This way, at any given time, either partner could go and see if they were on track to the savings goal. If both you and your partner have a zest for friendly competition, why not find fun and exciting ways to entice each other to save? How about for date night, taking turns finding the most fun things to do together, that are free or inexpensive? It’s a shock to the system, especially for the partner that likes to spend more freely. Why not start small, with some weekly goals, and then get a little more aggressive each week, giving both of you time to adjust to a savings mindset? Or, if you have a mix of smaller and bigger goals, start by reaching for an easier target first. This will give you both a sense of accomplishment and to entice you to go further. The best way to resolve a conflict is to avoid it in the first place. If you know that your roof will need to be redone in a year, then plan for it. Obviously, not every spend can be anticipated. However, by getting a handle on foreseeable significant expenses, and having some emergency savings, you and your partner establish the groundwork for a unified approach to solving financial predicaments. It is a lot easier to be proactive, rather than desperately looking for relief after the fact when your credit card is maxed out, and you are paying high interest rates trying to keep up. When you are feeling the squeeze from a tight financial situation, the tension is high, and your relationship is likely to suffer as a result. If one partner consistently cannot stick to the spending plan, dig deeper to find the issue. Some people feel the need to spend to cope with stress, to improve their self-confidence, for immediate gratification or a myriad of other issues. The financial aspect may be the symptom of an underlying cause. So, question yourself or your partner, without judgment, to start a dialog to resolve the essence of the problem. Relationships are complex, but they don’t need to be burdened with money issues. Concentrate on identifying your shared goals with your partner and have honest conversations about the path that fosters growth both within your relationship and your financial future. About the writer: Selin is a blogger that has established Powerful Intent to provide empowering strategies in the areas of wellness, finances, relationships, as well as personal growth. Embracing life and pursuing aspirations is a choice we all get to make, and she’d be honored to share her personal learnings as you walk your path to discover your own potential.